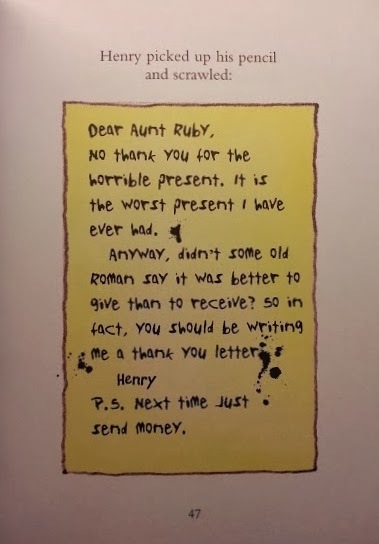 In an extremely rude thank you letter, Horrid Henry tells his Aunt Ruby that her (admittedly terrible) birthday present is rubbish and she should, next time, send him cash. Beneficiaries of anti-poverty programmes could be forgiven for saying the same thing to welfare authorities. Their schemes are expensive to administer, involve grand ideas, social theories and detailed plans, and yet their results are substantially worse than letting people live where they want to, or just sending them cash to alleviate their bad circumstances. A new paper from the Institute for Fiscal Studies, by authors Laura Abramovsky, Orazio Attanasio, Kai Barron, Pedro Carneiro and George Stoye and entitled "Challenges to Promoting Social Inclusion of the Extreme Poor: Evidence from a Large Scale Experiment in Colombia" only adds to this literature. We can only be glad that the Colombian authorities thought to do a randomized and controlled pilot study, although perhaps they should have waited for its results to come in before rolling it out generally! We evaluate the large scale pilot of an innovative and major welfare intervention in Colombia, which combines homes visits by trained social workers to households in extreme poverty with preferential access to social programs. We use a randomized control trial and a very rich dataset collected as part of the evaluation to identify program impacts on the knowledge and take-up of social programs and the labor supply of targeted households. We find no consistent impact of the program on these outcomes, possibly because the way the pilot was implemented resulted in very light treatment in terms of home visits. Importantly, administrative data indicates that the program has been rolled out nationally in a very similar fashion, suggesting that this major national program is likely to fail in making a significant contribution to reducing extreme poverty. We suggest that the program should undergo substantial reforms, which in turn should be evaluated. Really we ought already to have known this. Anti-poverty schemes seem smart but rarely or never report successes in randomised controlled trials unless they are cash handouts or removals of restrictions that were stopping people from generating wealth themselves (e.g. immigration liberalisation). But, as slow as academic progress works, it does seem like every extra contribution helps push the debate in the correct direction. Older PostAre immigrants dangerous criminals?